Dr. Trotter helps patients in and around Santa Monica, CA, keep their teeth and gums healthy by providing comprehensive exams, customized treatment planning, gum disease diagnosis and more, all using the most advanced, state-of-the-art equipment for preventive care and proactive treatment that works. What should I expect during a regular dental exam? 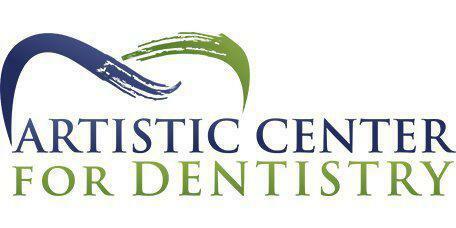 Routine dental exams are a vital part of maintaining the healthiest teeth and gums possible. During your exam, your teeth will be thoroughly cleaned and your gums will be evaluated for signs of periodontal disease including buildup of tartar that may extend below the gum line. Dr. Trotter will perform a careful evaluation of your teeth, checking for signs of decay visually, using special instruments and with x-rays to look for issues that may exist below the gum line or inside your teeth. Based on the results of your exam, Dr. Trotter will discuss any necessary care and develop a treatment plan based specifically on your needs. She'll also provide you with guidance and advice on how to care for your teeth so you can make sure you're doing all you can to keep your teeth and gums healthy between office visits. Yes, Dr. Trotter uses digital x-rays, an advanced x-ray technique designed to minimize your exposure to radiation. Digital x-rays are an important part of helping ensure you ward off disease that can lead to tooth loss and other issues. Depending on how often you see the dentist, you may not need to have x-rays at every visit. Both adult and pediatric patients should see the dentist every six months for the most effective preventive care. Seeing the dentist twice a year provides Dr. Trotter with the opportunity to look for early signs of disease or decay so they can be treated before they become more serious issues. Plus, it enables you to discuss concerns about your teeth and gums and learn about potential treatment options for all types of issues, including cosmetic concerns like staining, chips or alignment issues.